The "Big T" features our larges capacity top storage unit. You'll find room for decoys, guns, gear and more. 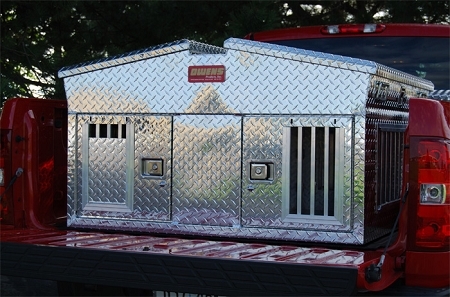 "Big T" also features dual large dog compartments and dual top storage lids allowing you to conveniently access your gear from the side of your truck.